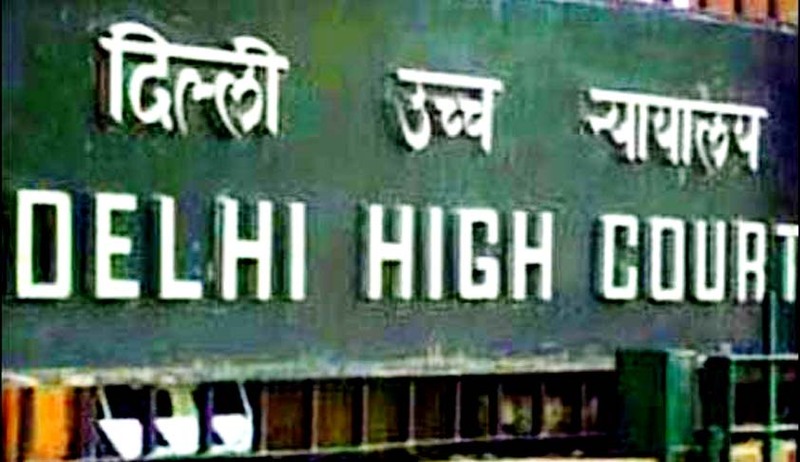 The High Court of Delhi has dismissed a plea of the writ petition filed by Shailendra Mani Tripathi in opposition to the University of Delhi and Dean of Faculty of Law, Delhi University. The petition sought a direction to the Delhi University to conduct the entrance examination for its LL.B. course in Hindi. Counsel for the petitioner, Ratnesh Kumar Shukla contended that the basis for seeking such a direction was / is that Union Public Service Commission and certain Central Universities are holding examination in Hindi language and that the respondents also conduct semester examination for the LL.B course in Hindi language. The petition said since the semester examinations of LL.B. under Faculty of Law, DU semester were permitted to be taken in Hindi, same criteria must be used for the entrance exams as well. In the judgement given by the division bench of Chief Justice G. Rohini and Justice R. S. Endlaw, it is stated, “We cannot shut our eyes also to the fact that the language of the courts, particularly in Delhi, primarily remains English and the judgments of the courts are pronounced and reported in English language”. In furtherance to that Delhi High Court said, “Use of the English language is also necessitated owing to the present day policy of transfer of judges of the high court and of the chief justice being necessarily from another court and who may or may not be well-versed in the Hindi language”. Prior to the appeal before the division bench, the learned Single Judge had dismissed the plea of the appellant. “This Court recently in Dinanath Batra Vs. Union of India MANU/DE/2602/2013 was concerned with the challenge to the preliminary examination of the Civil Services Examination from the year 2011 onwards (called Civil Services Aptitude Test) which contains a test of English Language Comprehension Skills of Class-Xth level worth 22.5 marks on the ground that the said test of English Language Comprehension Skills adversely affects the Hindi and other regional language speaking candidates taking the said exam. The Division Bench of this Court held that there was no bar, neither in the Constitution of India nor in any other law to selection for Civil Services on the basis inter alia of a test of English Language Comprehension. It was further observed that Article 343 itself permitted continuation of use of English language for 15 years and thereafter also by law made by Parliament and the Parliament by promulgating The Official Languages Act, 1963 has, in addition to Hindi provided for continuation of the use of English language as well. It was yet further held that the competitive test of English Language Comprehension Skills was necessary for selection of Civil Servants in the modern scenario”. The division bench of the Delhi High Court upheld the verdict given by the Single Learned Judge dismissing the plea of the appellant. Legal News India, Delhi High Court Judgments, Delhi High Court News, Delhi University Law Entrance.